Tin lamp shades are decorative and safe to use. 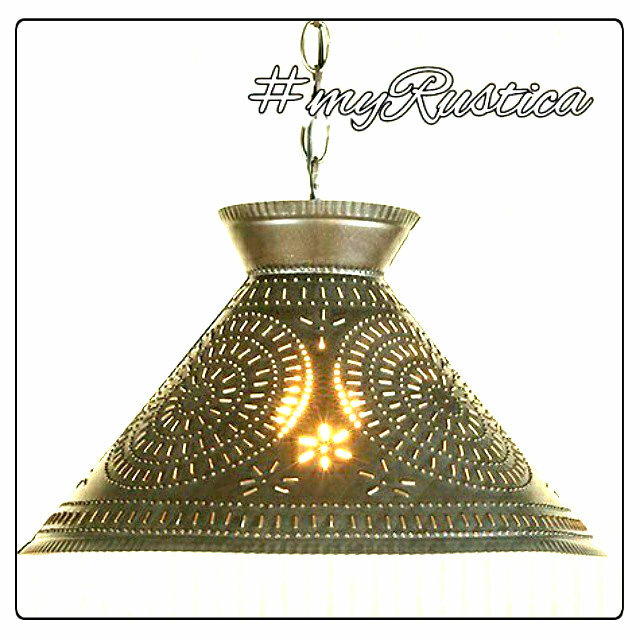 Buy a tin shade in one of the sizes offered on the product page or custom made. Since we punch tin at our own facility in San Miguel de Allende, Mexico, any size, shape and color order is easy to fulfil. For finishing, we use three distinct colors. Those are silver tone natural tin, rustic looking light and dark coffee.